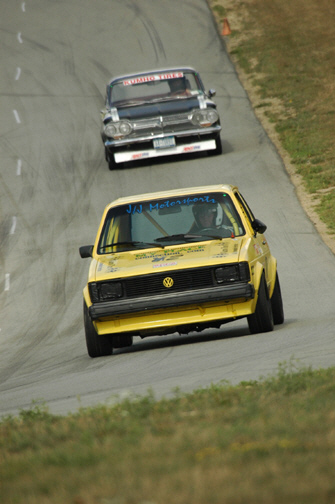 NECC has a number of classes for Corvairs that participate in time trials, including Street Stock, Improved Stock, Street Modified, Competition and Specialty Classes. Please read the NECC Classification Rules for Track Events and classify your car before coming to the track. Street Stock, Competition and Specialty Corvairs are easy to classify because the rules for these classes are simple. However, the distinction between Improved Stock and Street Modified cars can be a bit tricky. So to avoid confusion, we present the following NECC Corvair Classification Calculator. Click on the radio buttons to designate the modifications you have made to your Corvair. The NECC Classification Calculator will add up the points for you. If the "Total Points" is blank, then enable "Active Controls" in your web browser.